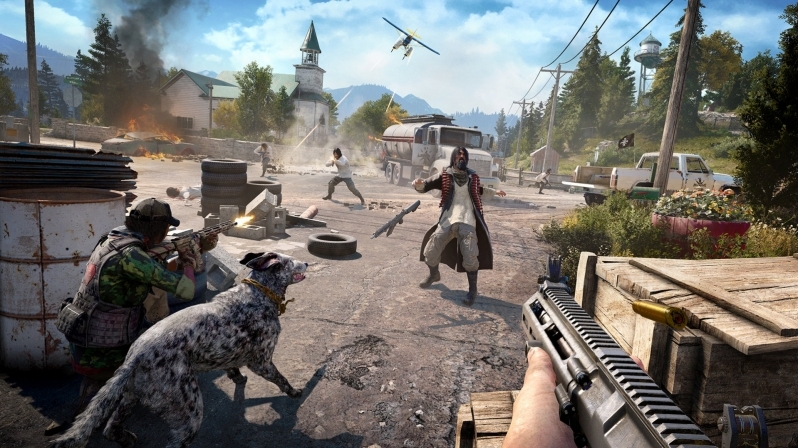 Read more about Far Cry 5's PC system requirements. It's so good to see such detailed system requirements being released. The game doesn't look like it be ridiculously demanding to run if a GTX 970/R9 290X can hit 60 FPS at 1080p with high settings. Also interesting to see the GTX 1080 SLI comparable to the CF Vega 56 setup. Far Cry 5 is supposed to support Vega features like Wolfenstein so I'm not surprised. While I'm somewhat Far Cry burned out, I am looking forward to seeing what they do to revive the series. I'm quietly excited about this. Either it will be a rushed mess or the idea will be so fantastic that it will be pure gaming pron. I'm excited about this but simultaneously I'm waiting to see how finished/messy it will be upon release. No pre-order for this lad. Decent requirements, but the previous three games (if you count that caveman spin-off) were painfully mediocre, so I'm not even interested. I've read early impressions on a local site saying its, kinda more of the same really. It probably is, but this time at least the story is more close to home. I'm not a huge fan of games that take places in countries I've barely heard of then bore you with a story you can't skip that you are not interested in. If Far Cry 4 didn't have the story and the waffle I would have completed it. Instead I just got sick of all of the crap and turned it off. Twice.